A couple of articles on defence against dog attacks, applicable to not only people engaged in protest and resistance actions but also those living in areas where stray and/or feral dogs may present a real threat (i.e., remote towns and villages, including reservations). Warriors Jiu Jitsu. Women Warriors. Little Warriors. The study involved 893 female Canadian students who were either given the training — known as the Enhanced Assess Acknowledge Act Sexual Assault Resistance Program (EAAA) — or formed a control group where they were asked to read brochures. 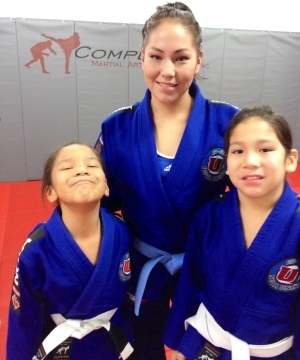 Shana Pasapa, a single mother of two, has become a top-ranked martial arts fighter in Saskatchewan with determination and hard work. Pasapa has won multiple medals competing in Jiu-Jitsu and frequently wins at major tournaments of the sport.